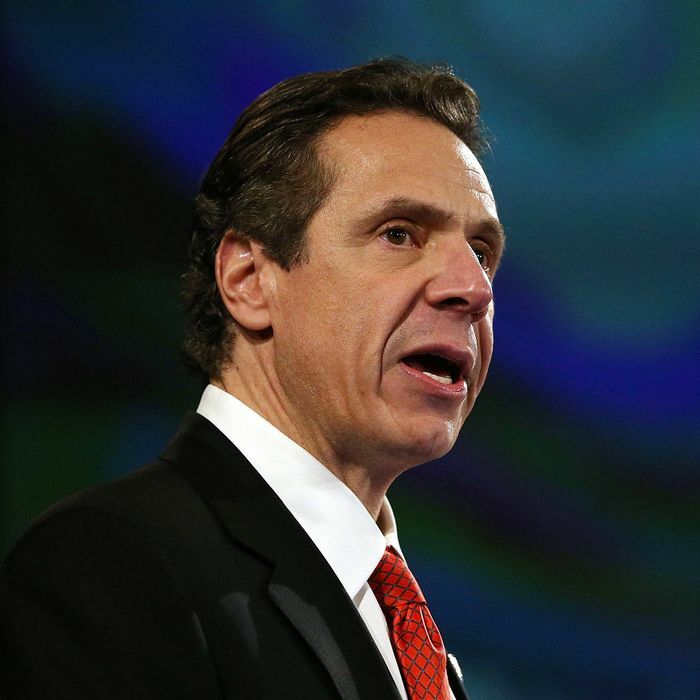 Will Andrew Cuomo Pick a Minority Running Mate? Don’t try telling Governor Andrew Cuomo that his choice of a new lieutenant governor candidate is irrelevant. True, the man currently holding the job, Bob Duffy, has had only slightly more power in state politics during the past four years than Chris Cuomo. But the governor is well aware that he wouldn’t be governor today if the last man to move up from LG obscurity — David Paterson — hadn’t flopped so badly. Duffy has decided to return to Rochester, but line of succession is only one reason the identity of his replacement is interesting. Will Cuomo, at this week’s state Democratic convention, unveil a minority running mate — which would be seen as a reaction to counter Republican Rob Astorino’s selection of Christopher Moss, who happens to be black? The governor’s team has been floating possibilities including Cesar Perales, currently New York secretary of state; Bill Thompson, the former city comptroller; and Buffalo mayor Byron Brown (though Brown took himself out of the running Tuesday night). Making the ticket less pale could also help Cuomo pad his margin with city voters — if it doesn’t antagonize one group for the affections of another. Then there’s the regional diversity play. Contenders in this category include Matt Driscoll (former Syracuse mayor), Kathy Hochul (former Buffalo congresswoman), Steve Bellone (Suffolk County executive), and Roann Destito (from upstate Rome and currently state commissioner of general services). Cuomo’s choice will also be interpreted as a small sign of how he reads the 2016 Democratic presidential landscape. The governor’s camp says he’s focused on nothing but leading New York state for the next four years. Hillary Clinton is also something of an obstacle. But if Cuomo selects a lieutenant governor popular with the national party’s ascendant progressive wing — after advertising his closeness to Mayor Bill de Blasio — it will be taken as a clue he’s tending to his viability, just in case. Choosing a familiar, well-vetted junior partner would reduce the risk of unwelcome surprises during campaign season. But it would also fit Cuomo’s personality. His inner circle is a very tight and loyal one. Five months before an election isn’t the time for the governor to be adding strangers to Cuomo-world.